Rochester, NY (December 10, 2018) – Authorities responded to a five-alarm house fire in Rochester that injured two people, including a firefighter, at an apartment building on Monday morning, December 10. The fire was described as massive after it broke out at around 8:30 a.m. at 440 Thurston Road and drew responses from nearly every fire department in the city. 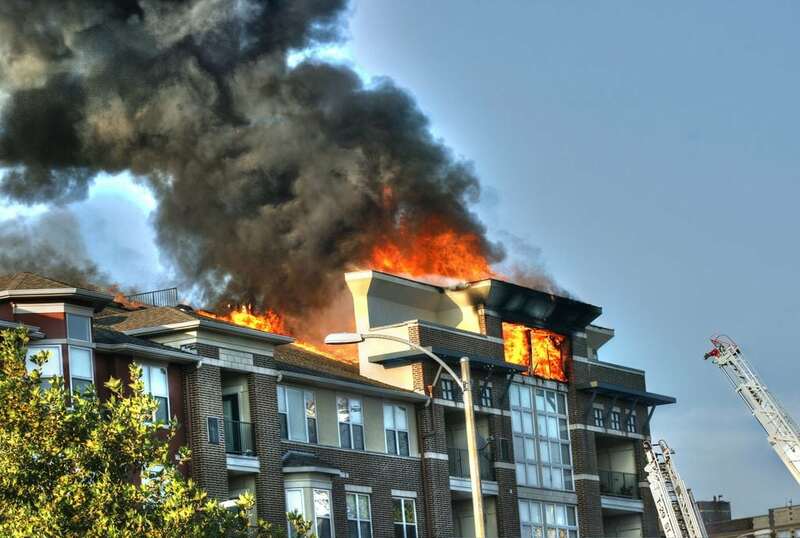 Only nine people altogether were reported to have been inside the three-story, 29-unit complex at the time of the fire. Emergency medical crews who were called to the scene attended to two injured parties. A firefighter was stated to have fallen through a floor, sustaining at least minor injuries as a result. One civilian, a tenant in the building, was reported to have suffered at least minor injuries as well, although there was no description as to the nature of any resulting wounds. The apartment building has been cited for several code violations in the past, however, whether or not any of those violations were related to the fire has not been verified. Investigators are currently working to piece together the events that led to this incident. We would like to offer our deepest sympathies to both parties who suffered injuries during this incident. We also extend our sincere appreciation to the numerous New York firefighters who battled this fire. Fires in New York commonly prove to be fatal or devastatingly injurious as they are one of the most terrifying conditions that anyone may confront. Following such a distressing situation, it is absolutely essential to know that you may have the right to be compensated for your losses, especially if the incident was caused by another party’s recklessness or criminal behavior. At Hach & Rose, our New York accident attorneys are absolutely adamant about helping those who have been hurt due to the actions of another person or entity. If you have been injured in a New York fire or explosion, call us today at 212-779-0057 and let us put our knowledge and experience to work for you.